Searching for new stock ideas doesn’t have to be complicated and time-consuming. You just need to use the right tools. 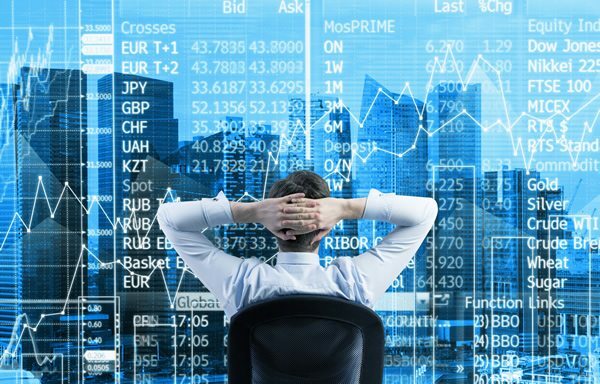 Today, we’ll take you through the top five free stock screeners that will provide you with the information you need to make good trading decisions. Screeners are great for finding your own stocks. If you prefer to have someone else do the research for you, you could sign up for a research service like Motley Fool (This Motley Fool review explains some of the pros and cons). Today, we will be focused specifically on screeners for traders who want to find their own stocks to trade. MarketWatch screener is a very basic stock screener. What we like about it is the interface which is very clean and easy to use. MarketWatch offers a limited number of fundamental and technical filters. Even though the selection of filters is very limited, they are all very high quality. They will allow you to do various stock scans according to your needs and build a targeted watch list. 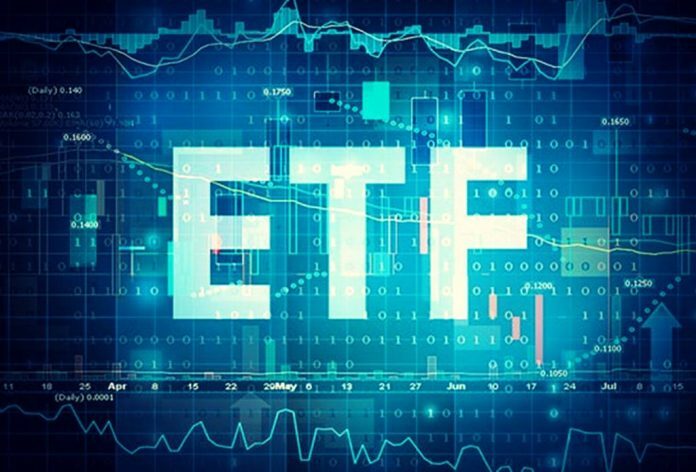 In conclusion, this tool might not be useful to a professional investor looking for advanced functions, but it’s a great, simple tool for beginners that allows you to perform reliable stock scans. Morningstar is also a free stock screener with basic functions. It stands out among other stock screeners because it uses its own proprietary rating system. It allows you to narrow the search results based on three Morningstar’s ratings. The three ratings are growth grade, profitability grade, and financial health grade and they are all rated on a scale from A to F.
When you go to the Morningstar website, you’ll need to create a free basic account and you can start scanning. The results of the scan will be displayed in a new window once you choose your criteria. This can be slightly inconvenient since you have to go back to the previous page in order to adjust your criteria and run a new scan. Overall. Morningstar is a basic screener but does offer several useful criteria that are rarely found in free stock screeners. 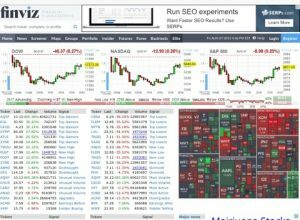 Yahoo Finance offers a free HTML stock screener that runs in your browser window. The free version lets users fine-tune their searches with a limited number of criteria. You’ll get used to the interface quickly, and there are even a couple of preset screenings to help you get an idea about how it all works and develop your own strategy. One good thing about this stock screener is that you can click on any ticker to be taken to the corresponding page on Yahoo Finance. You can also save your results for later use which is very useful. Google offers a free stock screener as part of Google Finance. What makes it stand out is the visually pleasing and easy to use interface. It’s great for beginners because learning how to use it is really easy, even for beginners. Furthermore, speed will never be a problem because the results show up almost instantly. The main problem with the Google Finance stock screener is the limited number of filters, with hardly any technical filters offered. 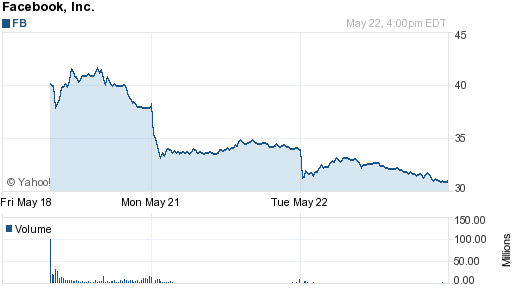 Just like with Yahoo Finance, the results can be clicked on in order to access the quote page on Google Finance. The FINVIZ.com stock screener is first on our list because of three important reasons. It offers a wide variety of selection criteria and the interface is very user-friendly. The third reason is the overall functionality of the stock screener, which is very good. The scan filters offered by FINVIZ include both technical and fundamental filters and the results are generated very quickly. 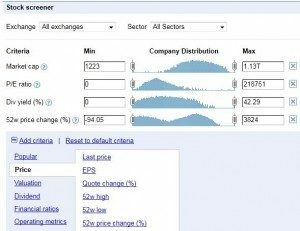 There is also a very convenient feature that makes FINVIZ stand out among other stock screeners – just hover your cursor above any stock ticker and a stock chart for that stock will pop up. FINVIZ allows you to perform in-depth scans with a focus on quality. 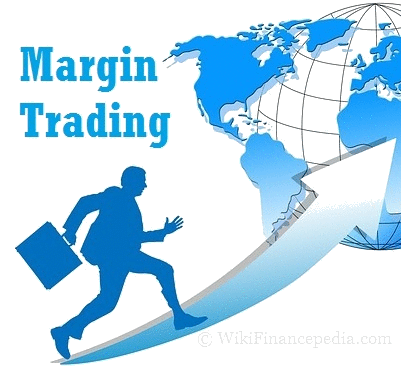 Overall, it is one of the best stock screeners available today and it will be useful to any investor.